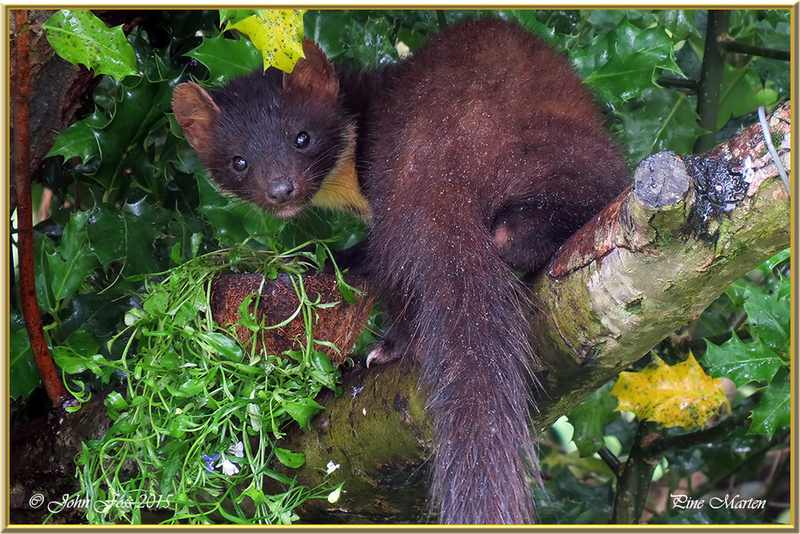 Pine Marten - Rare and elusive. 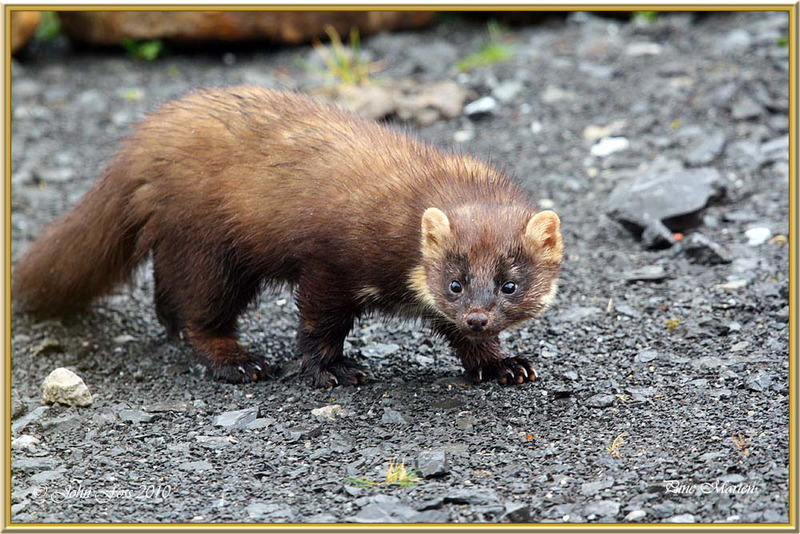 It is the second rarest carnivore in Britain after the wild cat. 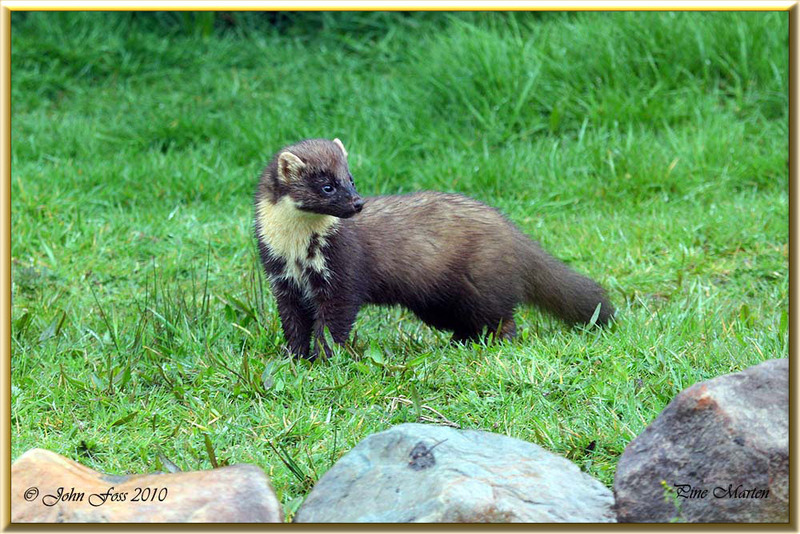 It is also the rarest mammal in Ireland. 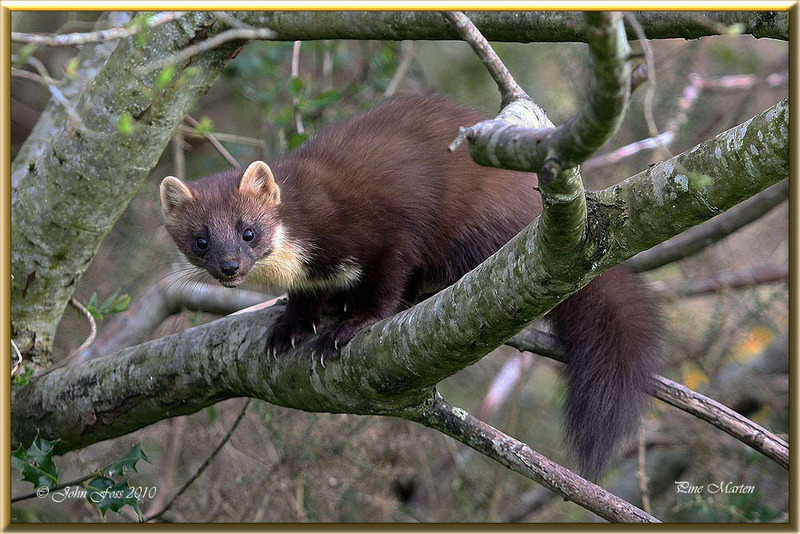 The Pine Marten is normally nocturnal but sometimes makes a daytime appearance as in these photographs. 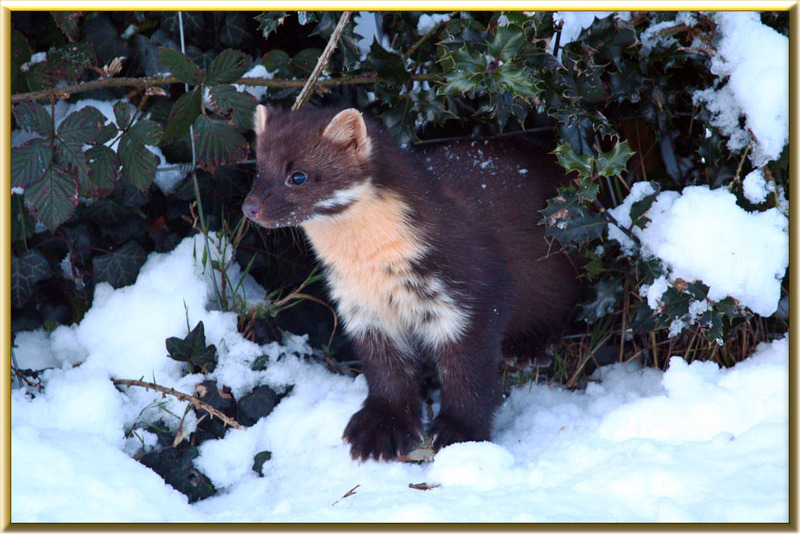 A member of the stoat, weasel and otter family. Perfectly built for climbing trees, swift and agile. Feeds on small mammals. These photographs taken in my garden at Greaghnafarna Co. Leitrim. 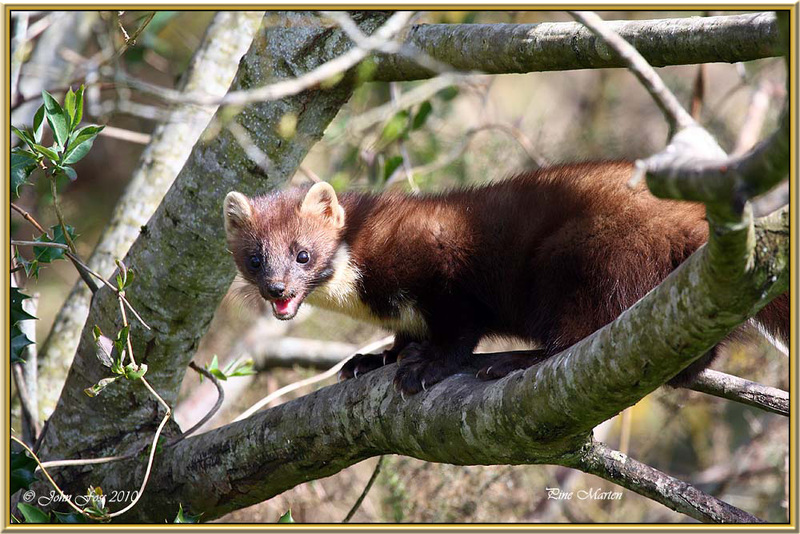 ▼ Pine Martens with a liking for mashed potatoes and cornflakes! 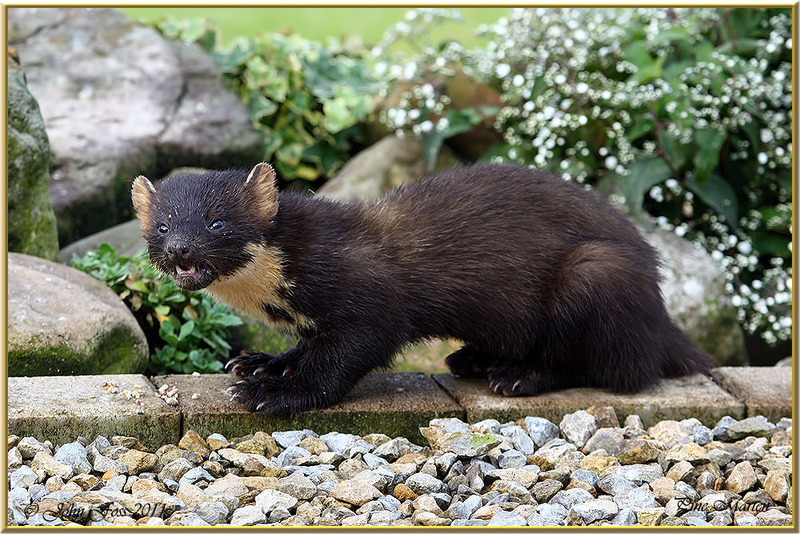 ▼ A pair of Pine Martens raiding the bird feeder in my garden.